Cyclist Lizzie Armitstead might not know when her upcoming wedding will be, but has no doubt it will be held somewhere in her home county. 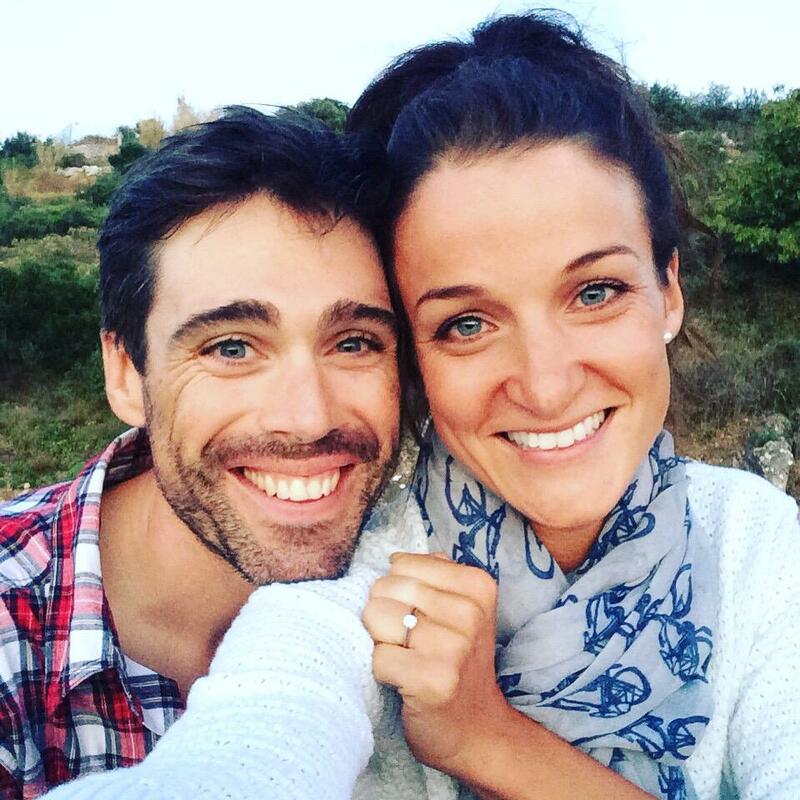 Otley's Lizzie Armitstead has announced her engagement. The Commonwealth cycling champion tweeted a picture of herself with her new fiancé, Team Sky cyclist Philip Deignan. Otley's Lizzie Armitstead has won the Women's British Cycling Championship for a third time. The 26-year-old was involved in a horror crash during the Tour of Britain earlier this month, but recovered in time to compete today in Lincoln. Speaking to British Eurosport, she praised the crowds for their support saying she would head to Donegal, Ireland to celebrate with her boyfriend. Cyclist Lizzie Armitstead has tweeted to allay fears she had broken her leg following a horror smash just seconds after crossing the finish line of the Women's Tour in Suffolk. The 26-year-old took to Twitter to confirm that she had not broken any bones and to thank hospital staff. Cyclist Laura Trott says she hopes Lizzie Armitstead's injury which saw here airlifted to hospital following a crash on the first day of the Women's Tour is not too serious. Commonwealth champion Lizzie Armitstead has been airlifted to hospital after crashing in the Women's Tour. The 26-year-old, who's from Otley, was raising her arms to celebrate winning the first stage of the race when she collided with someone inside the barriers. It is thought she has broken her leg. Great victory by @l_armitstead in @thewomenstour We all hope she is ok, because she crashed only seconds after she passed the finishline. A representative from her team Boels Dolmas collected her winner's jersey on the podium on her behalf. Olympic cyclist Lizzie Armistead will be in Bradford today to take part in its celebation of cycling event. The silver medalist will be passing on her winning riding skills and techniques to youngsters at Lister Park. Yorkshire Olympians, Ed Clancy, Luke Campbell and Lizzie Armitstead, will be launching the third Yorkshire's Winter Wonderland at McArthurGlen's York Outlet. Olympic boxing champion Luke, from Hull, Double Olympic cycling champion Ed from Barnsley and Team GB's first medallist of London 2012 Lizzie who is from Otley will take centre stage on the ice to turn on the 30ft Christmas tree lights inn the centre of the North of England's largest ice rink. Following this, visitors will be treated to exclusive performances from The Imperial Ice Stars - the internationally acclaimed Russian ice skating troupe. Fans of the Olympic athletes will also have the opportunity to meet them in the VIP area of the Ice Factor café from 7.15-8.15pm.